Love Pink? We Have Something To Show You And it Also Supports Breast Cancer Awareness! 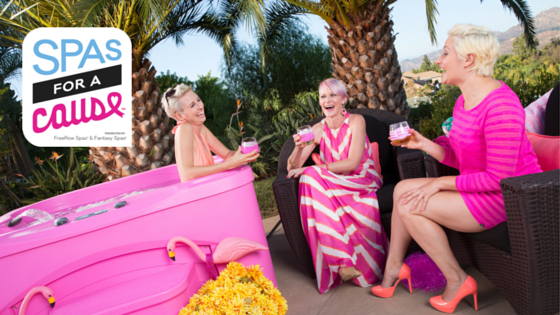 October is breast cancer awareness month and this year Fantasy® Spas turned the 110 volt, plug-n-play hot tub pink and partnered with National Breast Cancer Foundation, INC.® (NBCF) who helps provide women with early detection programs, education and support services. “Pink spas are bringing awareness to breast cancer in a way that’s unique and fun. Hot tubbing can be a great method of relaxation, allowing you to get centered, have fun and reconnect with loved ones during a time that can be very stressful,” says Kathleen Shawl Parkes breast cancer survivor. The warm water and hydrotherapy of hot tubs relieves stress and allows families to unplug and refocus on what’s most important in their lives: each other. Let’s turn up the heat on breast cancer awareness together! During the month of October, Fantasy Spas will donate a portion of the proceeds from pink hot tub sales to National Breast Cancer Foundation. 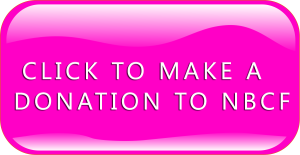 Explore all the ways you can make a difference by visiting National Breast Cancer.org.